Over the past few years, Blockchain has been gaining immense popularity. Yes, Blockchain-the same technology behind the cryptocurrency, it shows promising future in almost every sector including Medical, Real-estate, Hospitality and of course, social media is one to chase the same. Do you remember the Facebook Scandal that affected the sentiments of many of the user's? Undoubtedly, the drama revolves around the one big concern and that is "Trust". This is a small stance, that makes data security a great requirement in Social Media Arena. And in this concern - blockchain-based solutions are front and center of the trust-less systems. Steem is one of the oldest examples of a blockchain social network, which offers valuable insights into the early exploration of this field. The demand for blockchain developers is also growing with the bright future of this technology. In this blog, we will explore how the future can be framed when blockchain will be combined with social networks. One of the very common instances of this is Facebook - which was dealing with fake accounts, spreading fake information and news. In such scenario Blockchain distributed ledger system is all set to prevent such issues, promising to verify identities, data, and information. For Instance; the Oxcert protocol provides a framework for developers to create powerful decentralized apps which will allow to authenticate and manage digital or real-world asserts on blockchain technology. Further, it allows gathering and verifying news and other information shared online. Well, with such benefits, it can be made mandatory for every social media platform to incorporate this technology either by the third-party provider or creating its own blockchain environment. Therefore, the Social Media Development Company is looking to use this technology for better customer engagement and quick success. The advanced Blockchain Application platform like SKycoin can be used by the users to control their own information. Ans by the users can authenticate their permission so that no platform have access without permission. Here the users have choice allow access to their information by directly dealing with the third parties. Apart from this users can ask for a fee when their information is shared on the advertiser's platform. For Instance; tech startups have boosted 1.3 billion dollars from primary coin offerings. And because of this, the potential for using blockchain-enabled social networks as crowdfunding platforms becomes obvious. Hence, the potential to enhance peer-to-peer sales on these platforms. Generally, this customizable social Network is built on the Ethereum blockchain. It also states its presence as an alternative to social news platforms like Facebook and Google. Further, blockchain is being considered as the foundation to built transparent and democratic platform. This also enables this social network to reward millions of content creators and curators without any centralized intermediaries. The blockchain technology leverage dynamic capabilities that help to build bright social media future. Moreover, it will allow people to bring their best creations and idea and here with people don't need to sacrifice the transparency and accuracy for their Social Media Application Development. This social network is assumed to the first to build on steem blockchain - it is a decentralized reward platform for publishers to monetize content and grow the community. It is basically a point system where the users of the platform get benefits for the contribution they make to the platform. This point system is based on the blockchain system, therefore, the points can be used by the users to make trading on the market as the token. This is a hybrid of media and social network governed by AI altogether with the users. This platform has approx 700,000 plus users worldwide. This platform spreads information in a similar way as viruses do, this means it conveys the message to interested users, combining their reactions and AI algorithms. Thus, quality content can easily reach the whole Sola user base. The blockchain based social network will the future and will create value for everybody in the network: developers, creators, investors, and users alike. Well, in the initial phase there will be many failures. 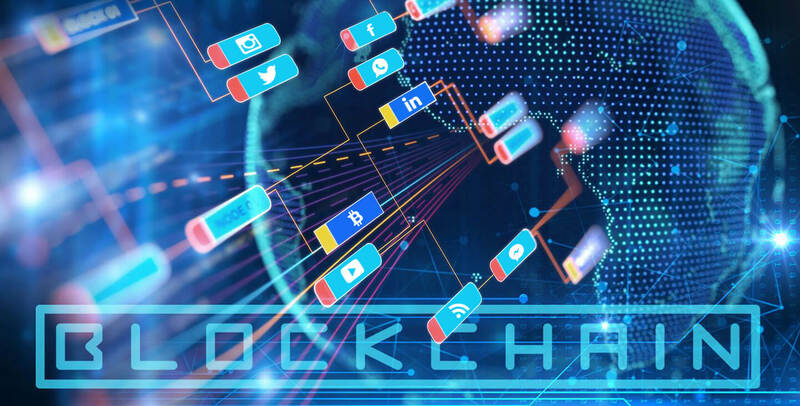 However, many blockchain solutions are hinting that social media is on a revolutionary ride, which will create transparency with complete security. Time to strap yourself In with the Blockchanchian based solution for your Social Media Application and stay tuned! NEXT POST How the Internet of Things Leveraging AI To Gain Competitive Advantage!